Karnataka in one of the prized treasures in South India. The southern state has a legacy of rich culture and a treasure trove of heritage sites apart from its spectacular natural beauty. Karnataka heritage tours introduce guests to the centuries-old legacy. From the magnificent architecture of royal dynasties, massive palaces still owned by royalty, holy revered temples to the UNESCO World heritage sites, there is a lot to be discovered. Experience the ancient cultural heritage at the historical places of Karnataka. The spectacular cities like Mysore, Srirangapatna, Halebid, Pattadakal, Hassan, Shravanabelagola, Hospet, Badami, Hampi, Aihole etc. 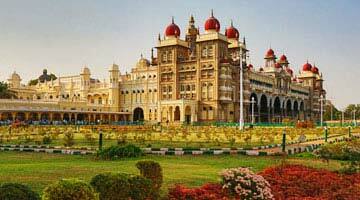 are the key highlights of Karnataka heritage tour packages. Book heritage tour to Karnataka and explore architecture, sculpture, design and tales associated with palaces, temples, forts, palace complexes ravaged by time. To make this experience all the more memorable, stay at one of the charming heritage hotels in Karnataka re-creating the olden days.